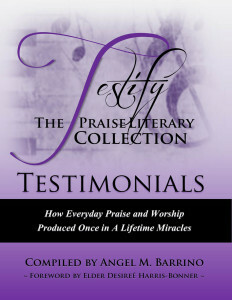 Purchase your autographed copy of this dynamic book today! 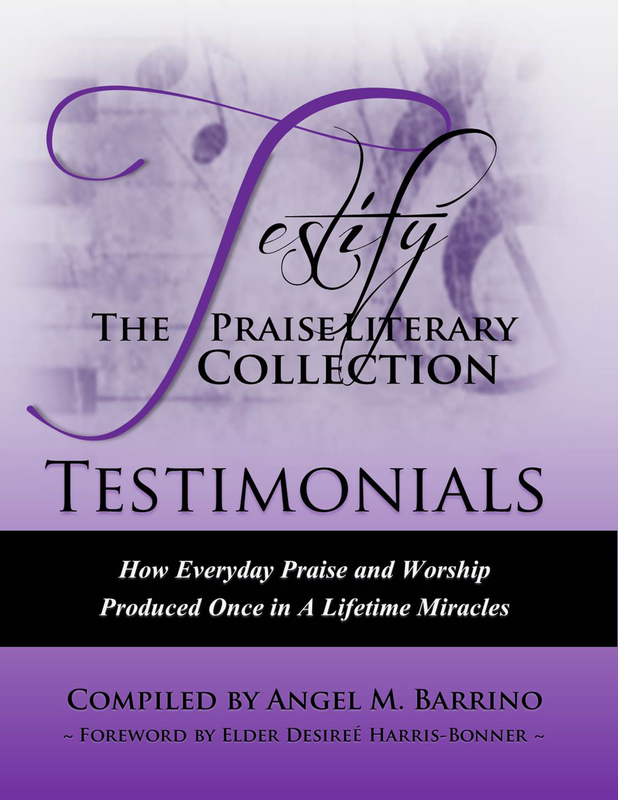 Testify: The Praise Literary Collection is compiled from stories of women from all walks of life. Miracles happen everyday and this is a book of miracles. Each woman is a miracle or a testimony and has a life changing message that you may identify with. Printed copies now available. Foreword written by Elder Desiree Harris Bonner.